March 8th we were joined by Master Mark Roane from San Antonio, Texas, USA. Master Roane has followed our journey for some years, we trained together in Arizona, USA and it was finally good to have him here in New Zealand travel and teach alongside us. Thank you Sir for spending time with us, sharing your knowledge and skills and we look forward to seeing you again. For years we’ve been taught to empower our daughters by telling them they can be anything they put their mind to. The world is their oyster. They’re smart, they’re beautiful and they’re loved. Can we tell them hand on heart that they’re safe? Being safe is just as good if not better than being smart, beautiful and loved because if they aren’t safe, none of that matters. How many of us have had honest conversations with our daughters about domestic violence, sexual, emotional or physical abuse? And if not, why not? We need to lead by example and that means getting educated. How can we teach our daughters to be strong and stand up for ourselves when we can’t do that ourselves? It's time to step up and lead by example. We’d all love to live life ‘once upon a time’. Leave our doors unlocked as we pop down to the supermarket, walk home from a night out, wear whatever we want, however we want and whenever we want. The sad fact is, those days have long gone and sadly as a female, at some stage in your life it’s likely you’ll come into contact or in under a predators radar. You may even be attacked. It’s more than likely you’ll be alone and extremely vulnerable. In most instances, the predator will be someone you know or least expect. The secret to success in anything is to never stop learning. Whether a student is advancing through the ranks or just beginning their martial arts journey, it’s always a smart to be continuously learning new skills or enhancing those you already know…. or think you know. While day-to-day training is important, there is always new information or information which has been lost along the way which will help you improve your knowledge. Training seminars allow students to immerse themselves back into the basics of a technique to enable them to stay up-to-date while exploring new areas of familiar techniques at the same time. By choosing to enhance your current skills, you will be setting yourself up for a smoother journey. Contact us now to register. The fact that we're writing this now, in 2016, is crazy. At training in Upper Hutt on Monday evening I looked around the room and was blown away to be the only female in this male dominated art. As a female, we tend to downplay our need for self protection relying instead on our partners, reliance on an already overstretched Police force, our brothers, fathers, neighbours and male friends etc. Reality is, they won’t always be around and if things are to change, we need to step up, put our big girl pants on and initiate the change ourselves. I’ll be coming at you with some of the reasons I’ve stuck at it for over 35+years and why it might be time to introduce your loved ones to self defence training as well. Many thanks from Master Pellegrini and Master's Stevenson for the fundraising, attendance, fun, humour and hunger to learn. Your support and loyalty to Combat Hapkido is greatly appreciated. A wonderful group of ladies both with and without martial arts/self defence experience recently gathered together to share knowledge with the founder of Unafraid Women Master Trina Pellegrini direct from the United States. www.unafraidwomen.org is a blog created by Master Trina Pellegrini and with the help of a group of her Advisory Council (including Mrs Stevenson) their primary goal is to reach out to women to support and teach them how to protect both themselves and their loved ones. Self defence blog for women, by women. Along the way, they aim to create a safe place for women to talk about all kinds of things… fitness tips, healthy living, recipes, legal section, lots of information to help motivate and inspire and much much more. 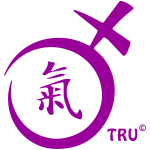 TRU© and the TRU© logo are used under license and is an abbreviation of 'Trained Ready & Únafraid'. If you want to hear information faster, don’t forget if you’re a Facebook user, join the Combat Hapkido New Zealand Facebook group to enjoy information first hand. We have a stock of this fantastic book written by ICHF’s own Julie Green. In a stressful or dangerous situation, your brain turns to your subconscious for direction. It 'freezes' when it can’t find the experience or knowledge that will get you from danger to safety. You can program your subconscious to react appropriately for self-defence using the simple steps of Prevention, Perception and Power. Learn strategies for violence Prevention in everyday situations, use Prevention to recognise the 'bad guy' before he can hurt you and employ Power to escape and defence yourself again an assault. Contact us now to purchase your signed copy.